New Delhi, March 24: Every year, World Tuberculosis (TB) Day is marked on March 24 with an aim to raise public awareness about the fatal disease. The theme of World TB Day 2019- 'It’s time', which throws light at the urgency to act towards the disease. The theme this year indicates that it's time to work towards the commitments made by global leaders to scale up access to prevention and treatment of the deadly disease. Prime Minister Narendra Modi on Sunday took to micro-blogging site Twitter and said that the government is working hard to make the country TB-free by 2025, 5 years before the global target of 2030. World Tuberculosis (TB) Day 2019: History, Theme and Significance of This Day Dedicated the Deadly Bacterial Infection. 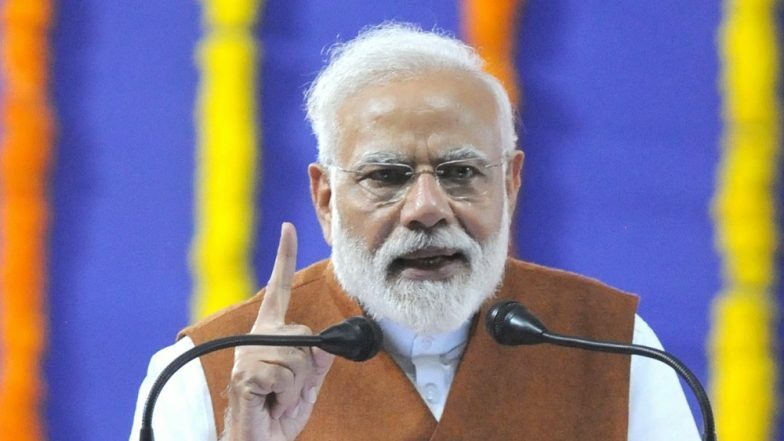 "Government of India and various State Governments are working hard to make India TB-free by 2025, 5 years before the global target of 2030", Modi tweeted. The Prime Minister further tweeted said that the Centre’s efforts such as TB Free India campaign and Ayushman Bharat are improving health standards and providing assistance to TB patients. Government of India and various State Governments are working hard to make India TB-free by 2025, 5 years before the global target of 2030. Centre’s efforts such as TB Free India campaign and Ayushman Bharat are improving health standards and providing assistance to TB patients. On Sunday, the Indian Medical Association said it will organise an awareness program on World Tuberculosis Day to highlight the steps required to end the disease. The program aims to increase awareness about the disease among the public and ways to curb its instances and related mortality and morbidity by 2025, a statement by the IMA said. The Prime Minister in March 2018 had launched a TB-free India campaign to eradicate the disease by 2025. During the launch, Modi had said that the global efforts to eliminate tuberculosis have not been successful and stressed on changing the approach to achieve the goal.